You have a big shiny hood on that truck. 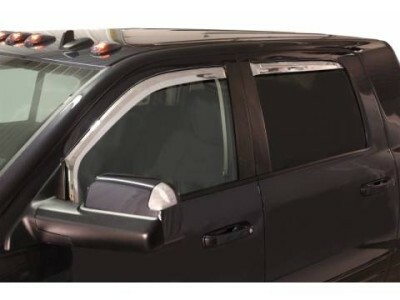 Keep it looking nice with an Element Bug Shield from Putco. 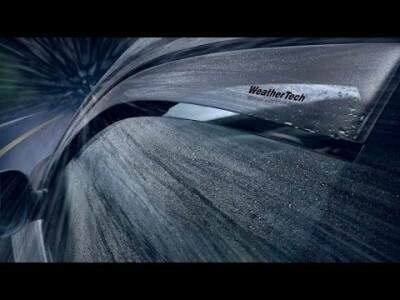 A bug shield helps push the flow of wind a little higher on your vehicle, which protects you from the smaller elements such as rocks and other highway gunk. 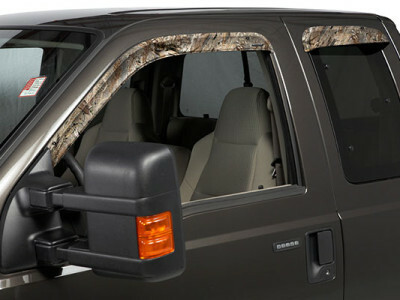 It of course also helps collect bugs, keeping them off your hood, making it a bit easier to clean. 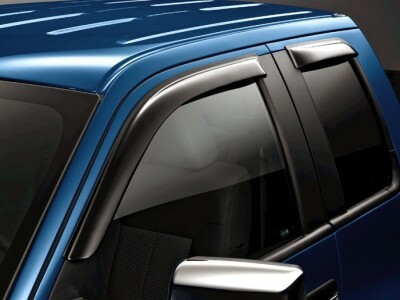 While it is an option to save the bug goo, we do recommend cleaning it periodically and returning the bug deflector to its natural shiny state. 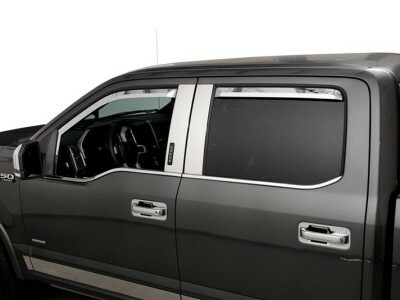 The Element Hood Shields complement the Putco Element Window Visors for a complete look. 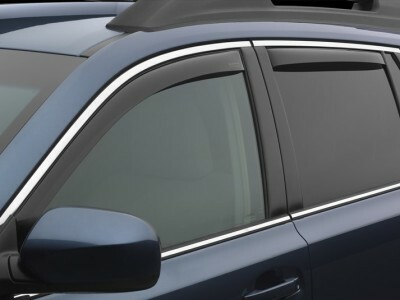 The tinted appearance helps blend right into your vehicle for a more subtle finish. 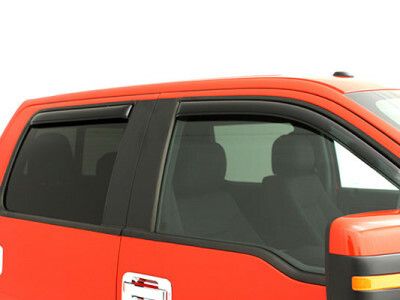 Putco is the first manufacturer to feature injection molded bug shields for a unique and consistent fit. 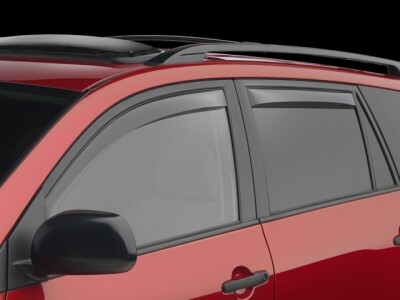 The smoke model features tinted polycarbonate material that will stand up to anything thrown at it. 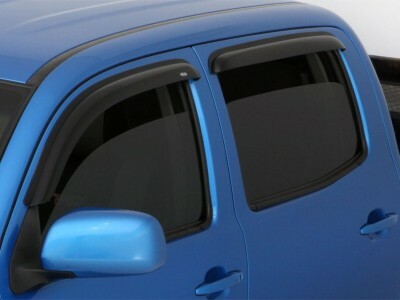 You can pick up your bug shield and vent visors by Putco right here on RealTruck.com! 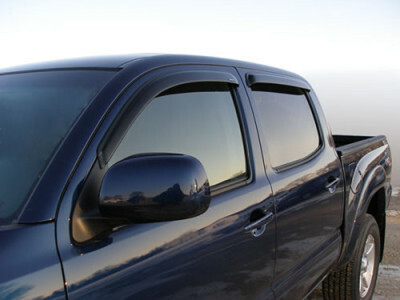 Stay shiny with an Element wind deflector. 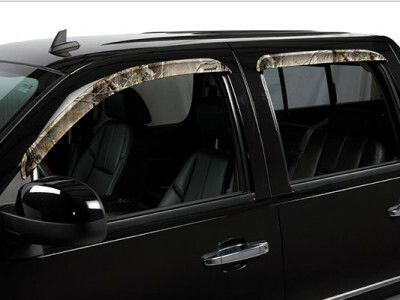 Made from high impact resistant ABS material, Stampede camouflage bug shields are the perfect way to get protection, non-detection, and high end sports style. All graphics are high resolutions and digitally matched. 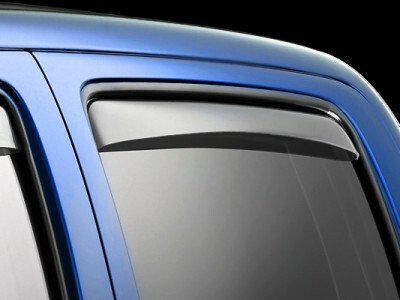 There’s no film or laminate on the surface to easily scratch or wear away. 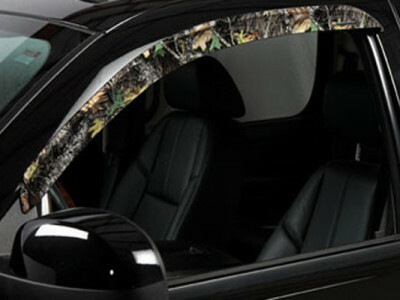 In fact, Stampede Camo hood shields are scratch and UV resistant. That means they last for the life of your vehicle (and maybe a little longer for those of you driving those old beaters). Select from 4 different patterns. Mounting is easy because installation is a do-it-yourself process. 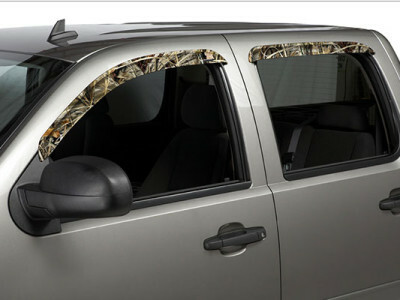 RealTruck ships any Stampede Camo bug shield to you for free to help you save on your total with us. 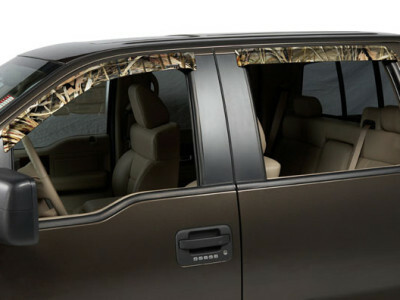 In addition to enhanced appearance, the Stampede Camo bug shield offers amazing hood and windshield protection. 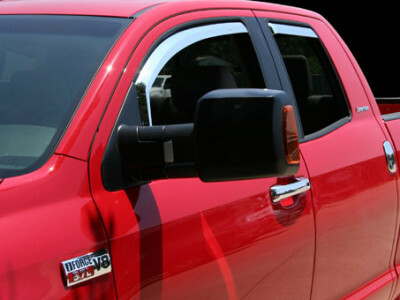 They deflect bugs, dirt, rocks and other debris, keeping your paint finish and windshield scratch, chip and dent free. 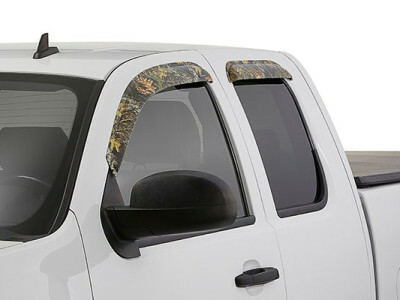 Each Stampede camo bug shield is molded specifically to each hood for the best fit possible. 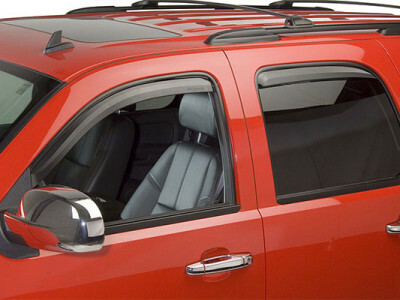 When it comes to keep bug splatter and debris away from your hood and windshield, you need a bug shield that can deliver. Enter the AVS Bugflector II. 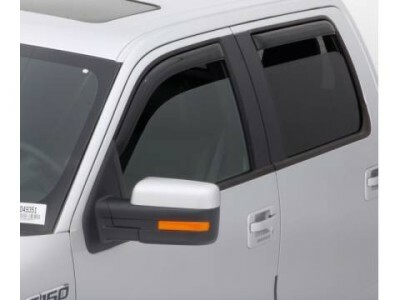 Constructed using rugged acrylic ABS, it’s exactly what you need to keep the front end of your truck or sports utility vehicle looking like it just rolled off the factory floor. 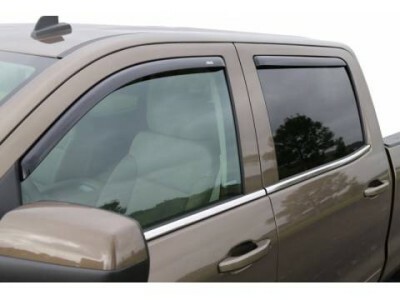 Made with an innovative high-profile, wrap-around design, the AVS Bugflector II offers maximum coverage area to stop rocks from dinging your hood and to keep flying insects from obscuring your vision (or at least making an unsightly mess on your vehicle’s finish). 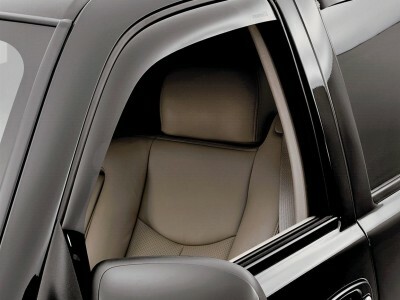 It’s also carwash safe, and is easy to clean at home as well without damaging its appearance.